Lotus Wellness Center offers a wide range of modalities. You may review each of services below, or we invite you to come in for a free chair massage and we can discuss a variety of therapies that may work best for your personal path to wellness. Trigger points: highly irritated points in muscles which refer pain to other parts of the body. Thai massage is also called Thai yoga massage, because the therapist uses his or her hands, knees, legs, and feet to move you into a series of yoga-like stretches. Many people say Thai massage is like doing yoga without any work. Muscle compression, joint mobilization, and acupressure are also used during treatment. People describe Thai massage as both relaxing and energizing. Thai massage is usually done on a padded mat on the floor. No oil is applied, so you are fully dressed. You are usually asked to bring or wear comfortable clothing to the massage. Session lasts between 1.5 hrs - 2 hrs. "This is a gentle and non-invasive hands-on body process that allows you and your body to begin releasing all the limiting thoughts, ideas, attitudes, decisions and beliefs that you have ever had, about anything. Based on touching 32 points on the head, this technique is similar to deleting files off your computer's hard-drive, more space becomes available to receive and create something totally new. Access Consciousness is a simple set of tools, techniques and philosophies that allow you to create dynamic change in every area of your life, with your body and with yourself. Access Consciousness™ provides you with step-by-step ways to become totally aware and begin to function as the conscious being you really are. Founded by Gary Douglas in 1990 and expanding with the added co-creation of Dr. Dain Heer over the last 11 years." Relax and repair tired feet with this botanically rich treatment that invokes the healing secrets of the French countryside. Your retreat begins with a creamy, luxurious micro-buff polish to stimulate circulation and smooth even the roughest spots. Provencal European Rose Mud infuses moisture and stimulates the skin’s self protecting mechanism, leaving your feet youthful in appearance and petal soft. A rejuvenating Rosemary, Peppermint & Lemon Peel foot massage completes your treatment. 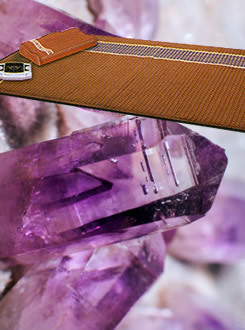 The Bio-Mat Amethyst system is a state-of-the-art FDA-approved medical device that delivers therapeutic Far Infrared Rays and Negative Ions, relieving pain and restoring balance and energy to the human body. 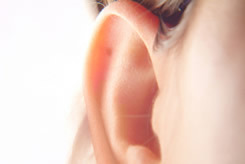 It was developed by highly skilled scientists, medical professionals, and engineers. 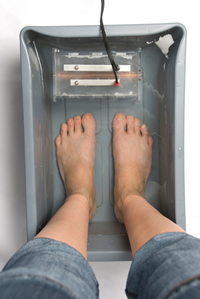 The Far Infrared Rays (FIR) reduces swelling, increases blood flow, and has been shown to destroy cancer and viral without harming surrounding healthy cells. It penetrates 6-8 inches into the innermost recesses of the body, stimulating healing and regeneration of nerves and muscle tissue layers. 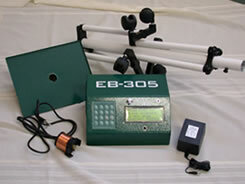 The Bio-Mat also produces Negative Ions, natures energizer. This accelerates and deepens all healing and cleansing processes. It balances pH by decreasing acidity. Negative Ions alleviate allergies, migraines and sinus problems. On site massage is a seated massage done in a professional massage chair that takes place at your office or workplace. It can be scheduled as 10, 15, or 20 minute "mini" massage sessions. Chair massages can be scheduled weekly, bi-weekly, monthly or by special event. It's the perfect way to begin the morning, as a refreshing afternoon boost, to relaxing wind down after that stressful end of day meeting, or to any office event (see below). No matter when you schedule your on-site chair massage, you can be sure your employees will gain the benefits of improved circulation, increased energy and an improved sense of overall well-being immediately! Reduces stress, subsequently reducing stress-related illness and injury. As a result, you will experience increased production, a reduction in sick time and a decrease in medical and disability expenses. Reduces repetitive stress injuries and the pain associated with carpal tunnel and tendonitis. Reduces overall stress, lowers employee turnover ~ happy employees stick around! Your employees feel better right away. Leaves your employees feeling refreshed and revitalized! Healthy employees translate into a healthy, happy productive workplace! An amazing and rejuvenating experience for your valued employees! Cancellations must be made at least 24 hours in advance or a cancellation fee of 50% of total cost will apply. Copyright 2010-2014. Lotus Wellness Center. All rights reserved, worldwide. Web site design and hosting by MSW Interactive Designs LLC. We put the web to work for you!